Getting a pet dog is a wonderful experience and dogs are amongst the most faithful of animals. While it may sound like more of a cliché, the saying that a dog is a man’s best friend is evergreen. However, while getting a dog is a wonderful experience, training the animal to make it into a suitable pet is a totally different story. Most dog owners have been down this road. 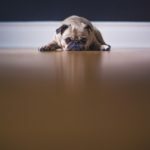 The frustration that comes from the inability to communicate with their pet dogs is something that most dog owners have experienced. Getting to dogs and past their mental barrier is nearly impossible for the majority of dog owners. However, it is important to note that dogs are not disobedient animals at all. In fact, 99.9% of all dogs are completely capable of understanding human commands and behaving accordingly. The trick is to find the right method that helps you get inside the brain of your pet dog and make it a pet that you always wanted to. Before mentioning the tricks and tips of dog training, it is firstly necessary to mention the importance of training a dog. Below are some facts that highlight this importance. Pets that are well trained are much easier to look after and love. Well-trained pets are much less likely to ruin the inside of homes as they understand the limits that they have. Well-trained pets generally live happier lives. Since most pet owners reward their animals for behaving nicely, animals feel happier after receiving such rewards. With the importance of training a dog now well detailed, it is time to learn the tricks and tips that can be used to train a dog and transform it into a faithful companion. As soon as a pet dog is acquired, its training should begin there and then. Ideally, the training should begin the same or the next day as the dog is acquired as delaying the process can lead to the animal learning some bad behaviors. These behaviors can then be hard to get rid of. Therefore, it is important that such behaviors are not established in the first place. Dogs operate with a pack mentality. Thus, it is important to establish roles as soon as a dog has been acquired. Since the pet owner is the one who is in command, the owner should make sure that the dog understands who the alpha male is. This can be done by making certain areas no-go areas for dogs. For instance, the dog can be restricted from stepping inside the bedroom or on the bed. Before a pet dog can be taken out for walks or anywhere else, it is necessary to make the animal learn and understand some basic commands. These commands can be as simple as commanding the dog to sit or stop. Teaching basic commands such as these are highly necessary. For instance, if a pet dog starts behaving in an unruly manner when taken on a walk, it can at least be commanded to sit so the behavior is not continued. One of the most overlooked aspects of dog training is socialization. Most pet dog owners restrict their dogs and keep them inside until the dog has been ‘properly’ trained. However, this is a big mistake to make. Even when a dog has just been acquired, taking it out and exposing it to different situations is highly essential as doing so will make the dog learn about different environments and how to behave in them. If a pet dog is not exposed to such situations from an early age, it can become fearful and shy later on. However, before taking the dog out and exposing it to a variety of environments, make sure that the dog is trained to at least follow a few of your commands. Perhaps the most important part of training any pet animal is house training. Pet animals, when first acquired, have no idea at all about the places where they can go to urinate or defecate. Therefore, it is a given that pet owners must try and teach their pets about the right places to go to empty their stomachs. There are a number of ways of how a dog can be house trained. Putting up small doors so that the animal does not enter the home, keeping the dog in a crate, or taking the dog out 10 or 15 minutes after it has eaten are all great ways to house train a dog. 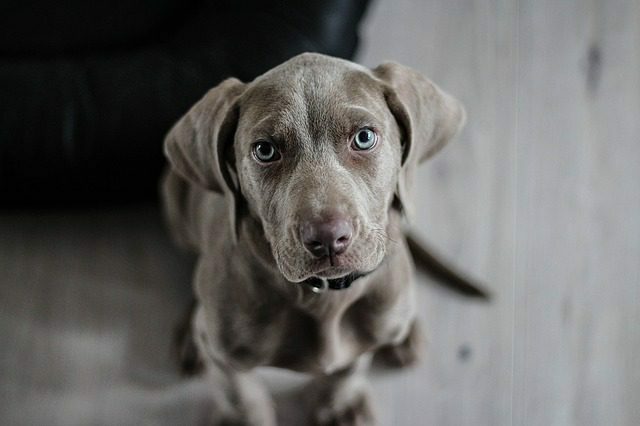 However, the dog owner should not be too forceful and set a provision for a few mistakes in the initial stages as it can take up to a few months before a dog can be fully house trained.